Golden Eagle Plantation continues to dominate the mid to upper level consumer in the Tallahassee real estate market. Situated in the 32312 zip code and featuring a world class Tom Fazio golf course, homebuyers choose Golden Eagle for the security and lifestyle that it provides. 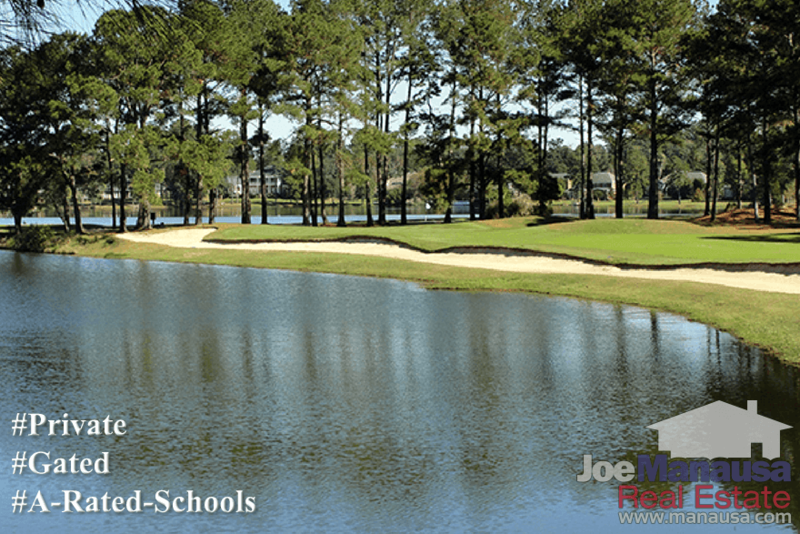 Featured in the center of the Killearn Lakes Subdivision, Golden Eagle Plantation features 800+ large unique homes, a country club, and of course Tallahassee's most challenging golf course. The narrative contained below is for sales through December for all past years and through the 26th of January in 2017. All the graphs and the closed sales table will be continuously updated into the future (meaning bookmark this page if you always want to know the current status of homes in Golden Eagle Plantation). Average home prices rose a little more than 2% in 2016 when compared to the average recorded in 2015. Currently, home prices remain about 18% lower than they did at the height of the housing market in 2007. When you factor in the cost of borrowing money, people financing a home in Golden Eagle today are spending far less than they did ten years ago. 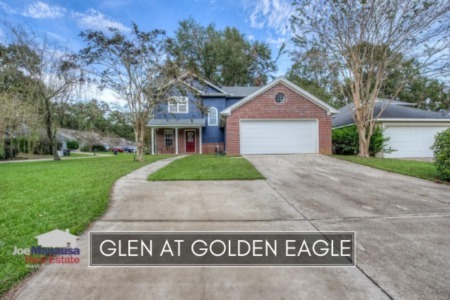 The current rate of home sales in Golden Eagle Plantation is very robust. The 57 homes sold last year was the fifth best year on record (meaning only 2002-2005 were better). Once could conclude that demand for homes in Golden Eagle Plantation has been fully restored to normal. 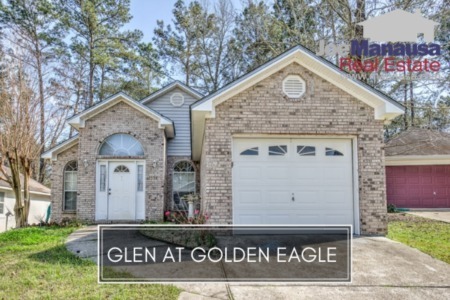 Currently, the average home price in Golden Eagle Plantation is $480,500. Average home values in Golden Eagle Plantation rose more than 3% in 2016, and are now approaching the "compression zone" in Tallahassee. Expect "newer" homes to pull in far higher values than those homes built more than 20 years ago. The average value of a home sold in Golden Eagle Plantation in 2016 was $144 per square foot, up roughly 13% over the bottom reached in 2013, but still down about 20% from the market high set back in 2006. This means that many homeowners who have purchased or refinanced in the past 10 years could owe more on their homes than they could get with a sale today, but rising values are slowly reducing that pool of homeowners every month. The average home size sold in Golden Eagle Plantation typically falls in a range of 3,000 to 3,500 square feet, and 2016 was no different. The 57 homes sold in 2016 averaged 3,329 square feet. I hope you enjoyed our January 2017 update on home sales in Golden Eagle Plantation, please feel free to drop me a note if you have questions about Golden Eagle not covered in this report.